Where to begin? A code? An algorithm? A trope of potential literature? A rehearsal of modernist cant, or chants? Or, instead, a variety of our own verbal limning? A patterning that removes its traces, that cites without citing, that mines without being searchable? Let us proceed there, even if it is a false start. Unsearchable is a collaborative lecture-performance that asks, what remains beyond the database? From this basic question emerge a host of others: what is the future of erudition in an age of pervasive Google-ability? ; if one of the major problems with citation is the loss of human originality, is there a defense – say an Emersonian triumph of the person who cites – or are we entering along the path of the singularity and nothing more? ; how might we approach something like the “unequal distribution of searchability,” i.e., that some populations are rendered searchable for political purposes while others are left to relative obscurity? ; what does it mean to practice the aesthetics of non-existence? ; are there various ways of extending the questions on the table here toward general notions of knowledge and does unsearchability necessarily lead us into a kind of skepticism? The performance allows us less to answer these questions than to expose the extension of the problem of the unsearchable, and to point up affinities between processes of knowledge production and artistic production. 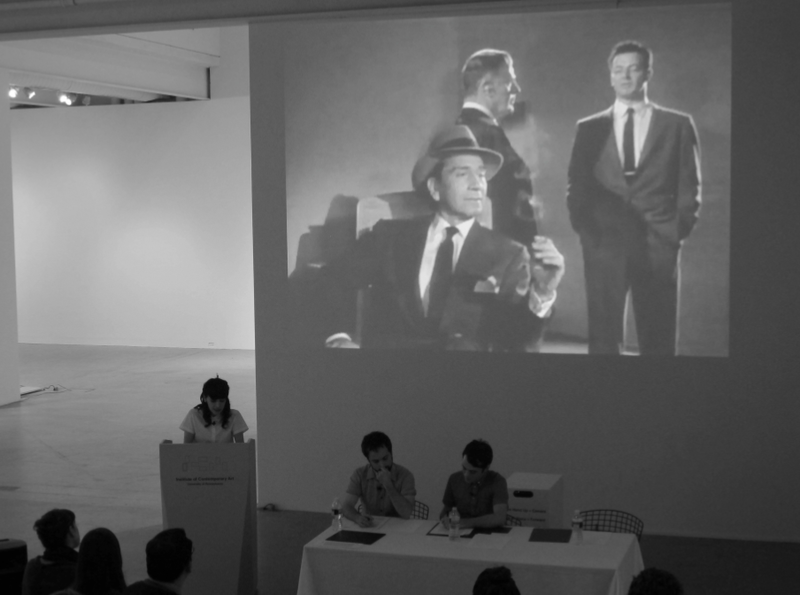 Adopting the presentational aesthetics of a scholarly lecture, Unsearchable is part participatory panel discussion and part indoor expedition party in search of Purloined Letters, Maltese Falcons, and Our Last Years at Marienbad.